The University of Iowa College of Public Health will host special guests Senator Tom Harkin (retired) and health policy expert and executive Jenelle Krishnamoorthy for two public lectures on Wednesday, Oct. 18. Both lectures are sponsored by the Iowa Institute of Public Health Research and Policy (IIPHRP) based in the college. Senator Harkin, who represented Iowa in the United States Congress for more than four decades, is the IIPHRP’s inaugural Visiting Scholar. This program invites exceptional senior scholars to the college to enrich education, research, and collaborative initiatives and to provide opportunities for students and faculty to interact with the scholars through a variety of functions. 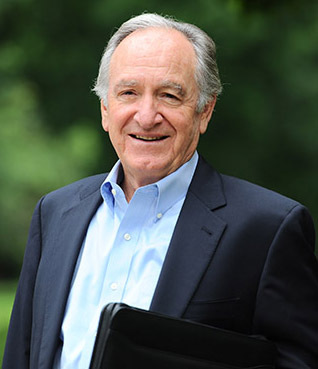 Harkin will present “Delivering a Healthy Future: Making Public Health Policy in the 21st Century” from 12:30 to 1:30 p.m. in Callaghan Auditorium (N110 CPHB) on Oct. 18. “Senator Harkin was selected as a Visiting Scholar for his in-depth knowledge and vast experience in the implementation of public health policy,” says Vickie Miene, interim director of the IIPHRP. Harkin served Iowa’s 5th Congressional District in the U.S. House of Representatives from 1975 to 1985 and was a U.S. Senator from 1985 until his retirement in 2015. His legislative policy priorities have included public health, federal farm policy, civil rights for Americans with disabilities, childhood nutrition and food access, health care access and reform, labor issues, and access to and improvement of education. He crafted the Americans with Disabilities Act and helped to lead passage of the Patient Protection and Affordable Care Act, authoring the law’s many prevention provisions. Jenelle Krishnamoorthy is visiting the college through the IIPHRP’s Executive in Residence Program, which integrates senior business leaders into the life of the college and provides unique opportunities for experts to interact closely with students and faculty. Krishnamoorthy will present “Population Health – Perspectives from the Field and Policy Implications” from 10:15 to 11:00 a.m. in C217 CPHB on Oct. 18. She is currently the Associate Vice President, U.S. Policy, Communications and Population Health at Merck and is trained as a licensed clinical psychologist. Prior to joining Merck in January 2015, she was the Health Policy Director for the Health, Education, Labor and Pensions (HELP) Committee in the United States Senate for then Chairman Tom Harkin. Krishnamoorthy first joined Harkin’s team as an American Association for the Advancement of Science (AAAS) Fellow in 2003 and 2004. 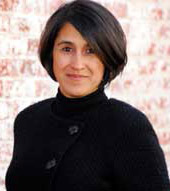 During 2004 and 2005, she worked at the U.S. State Department in the Bureau of South Asian Affairs on health, science, technology, and environment issues with India on an AAAS Diplomacy Fellowship. Early in her career, she completed a pediatric clinical psychology internship and post-doctoral fellowship at Brown Medical School, where she conducted research in the areas of childhood obesity and tobacco issues. Krishnamoorthy received a B.S. degree from Randolph-Macon College, M.S. from the University of Tennessee and a Ph.D. from Virginia Commonwealth University. The IIPHRP fosters new collaborations, within and outside the University of Iowa, by bringing together researchers, health care organizations, providers, citizens, community leaders, private partners, and policy makers to help shape and inform public health policy. More information about the IIPHRP can be found at www.public-health.uiowa.edu/iiphr.